Defense Minister Ehud Barak in London: The Assad regime is on a slippery slope. Syrian President Bashar Al-Assad’s fate has been sealed, Defense Minister Ehud Barak said on Wednesday. “The Assad regime is on a slippery slope, his fate has been sealed and he will fall soon,” Barak said in London, where he met with senior officials in the British government. 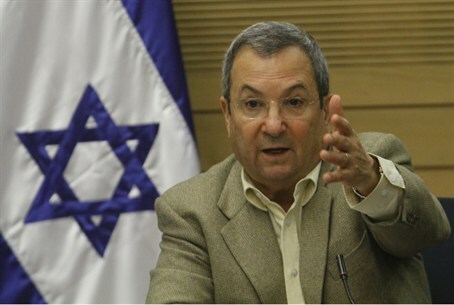 Barak will return to Israel on Thursday. On Tuesday he revealed in an interview with the Daily Telegraph that Israel almost attacked Iran eight months ago – but that the “moment of truth” was postponed after Iran redirected part of its enriched uranium to civilian uses. Without that decision, a confrontation with Iran would have almost certainly developed, said Barak. As Barak was visiting London, Prime Minister Binyamin Netanyahu visited France, where he met with President Francois Hollande. During the meeting Hollande said he wanted to see Iran perform "concrete acts" to prove it was not pursuing a nuclear arms drive. At a press conference with Netanyahu, whose aim during a two-day visit to France is to seek more pressure on Iran, Hollande warned that Paris would back "other sanctions" if Tehran failed to convince on its contested nuclear program. "We have voted for many sanctions and are ready to vote others as long as necessary," he said, demanding "proof that Iran has abandoned this drive". In an interview with a French magazine on Tuesday, Netanyahu said a military strike on Iran would benefit the Arab world.